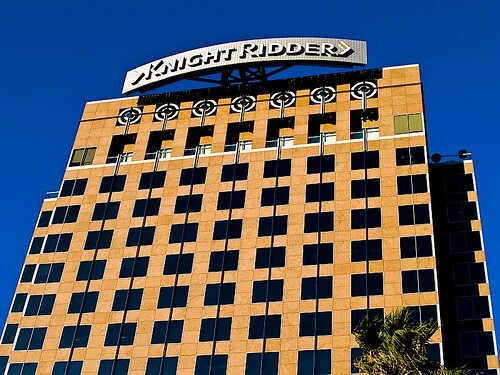 The iconic Knight Ridder sign had remained atop the downtown San Jose building where the much-mourned former media chain was headquartered, even after its flagship Mercury News and other properties were sold to McClatchy in 2006 and then flipped to MediaNews Group. Now, the signage is coming down. New owners say the 18-story building that’s to be renovated will also be renamed. They’re keeping naming options open, the Merc says.